The Dolphins placed center/guard Jake Brendel on injured reserve, according to Armando Salguero of the Miami Herald (on Twitter). Brendel was activated from IR a little over a month ago, so his season will end after just four appearances. Brendel, 26, joined the Dolphins’ practice squad in 2016 after going undrafted out of UCLA. He went to appear in all 16 games for Miami in 2017, although he didn’t see much action on the field. Brendel played 67 snaps on offense and 87 snaps on special teams, serving in a backup role for the entire campaign. Brendel suited up for the first time this year in Week 9 and started for Miami in Weeks 10, 12, and 13. A knee injury kept him off the field for Sunday’s win (and miraculous finish) over the Patriots, and it’s apparently serious enough to end his season. Without Brendel, the ‘Fins may need to sign another interior lineman to support Ted Larsen, Travis Swanson, and Jesse Davis. The banged up unit, which previously lost Daniel Kilgore and Josh Sitton to injury, will close out the year against the Vikings, Jaguars, and Bills. The Dolphins do not control their own destiny, but they are still alive in the Wild Card hunt and even have a slim, but technically possible, path to the AFC East crown. The Dolphins will designate offensive lineman Jake Brendel and linebacker Mike Hull to return from injured reserve, according to Cameron Wolfe of ESPN.com (Twitter link), who reports both players were back at Miami’s practice on Wednesday. Both Brendel and Hull were placed on injured reserve in September after initially being carried through to the Dolphins’ initial 53-man roster. NFL rules stipulate that any player who returns from IR must have been on his club’s original 53-man roster, and also mandates a minimum eight-week absence. As such, both Brendel and Hull can be activated in advance of Miami’s Week 9 matchup against the Jets. Brendel, 26, joined the Dolphins’ practice squad in 2016 after going undrafted out of UCLA. He went to appear in all 16 games for Miami in 2017, although he didn’t see much action on the field. Brendel played 67 snaps on offense and 87 snaps on special teams, serving in a backup role for the entire campaign. 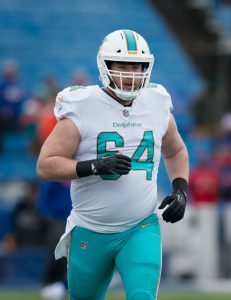 Once he returns from IR, Brendel will give the Dolphins another interior option behind veterans Travis Swanson and Wesley Johnson, the former of whom has taken over at center following Daniel Kilgore‘s season-ending injury. Like Brendel, Hull has mostly served as a backup since joining the Dolphins in 2015. He played in 32 games from 2016-17, making four starts during that time. But Hull’s main contribution has come on special teams, where he racked up a whopping 631 snaps over the past two seasons. His return could bolster a Miami special teams unit that already ranks third in DVOA, and give the Dolphins linebacker depth after the club placed Chase Allen on injured reserve earlier today. Because each team is only allowed to IR/return players, Brendel and Hull’s activation will prevent the Dolphins from bringing any other injured players — such as offensive linemen Josh Sitton or Kilgore, or defensive end William Hayes — back in 2018. The Dolphins are in need of an emergency center after Mike Pouncey‘s hip trouble flared up again, and to make room for that replacement the team cut Chris Culliver, Armando Salguero of the Miami Herald reports. Signed late in free agency despite coming off an ACL tear, Culliver began the season on the PUP list and did not return to form in the way the Dolphins hoped, Salguero notes. Miami promoted rookie UDFA center Jake Brendel from its practice squad. Pouncey is doubtful to play in Week 11 against the Rams. 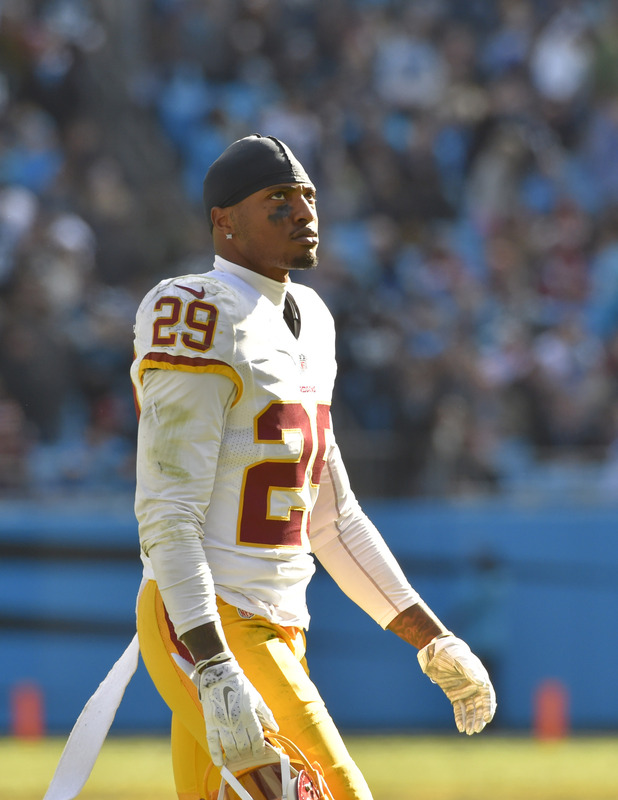 Culliver’s endured a difficult stretch over the past year, with a 2015 suspension negating the guaranteed money in his Redskins-constructed contract and leading to a premature release from Washington. The separation was largely tied to the cornerback tearing his ACL last November, and it appears the sixth-year corner wasn’t sufficiently recovered from that setback to make an impact in Miami. The Dolphins activated the 28-year-old corner two weeks ago but did not use him in a game, with Culliver’s surgically repaired knee not allowing him to go all out in practice, either, per Salguero. Initially part of the plan upon signing, Culliver’s PUP list trip did not generate the kind of recovery Fins coaches expected, and the past two weeks since his activation didn’t reveal a corner capable of contributing to a suddenly resurgent team on Sundays. Culliver told reporters he planned to play against the Chargers last week, but Salguero reports Dolphins coaches had no intention of deploying him. A full-time starter in 2014-15 with the 49ers and Redskins, Culliver will now enter into an uncertain phase in his career. Although he will venture onto the waiver wire due to late-season rules pushing cut players there at this juncture of the calendar, another team taking a chance on him now if he’s unable to practice at full speed seems unlikely. Signed to a one-year Dolphins deal worth $3.75MM — $300K fully guaranteed — Culliver saw a four-year, $32MM Redskins accord fail to pan out. He played in just six games for Washington in 2015. Should he sign elsewhere if he clears waivers, Culliver will likely have to do so on a one-year deal to re-establish his value.